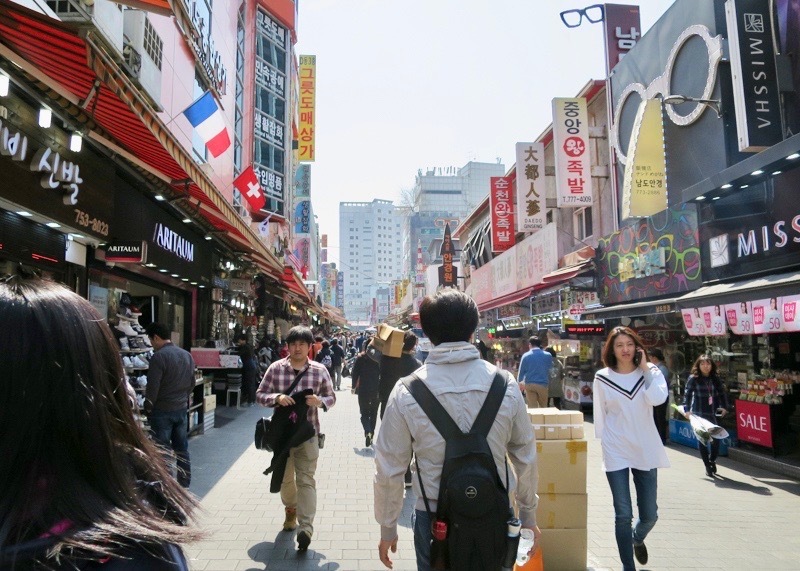 If you’re visiting Seoul and don’t know where to start, here is a guide for people who either a) have never been to Seoul or b) you’re looking for quick tips and nice-to-know information. I’m a big believer in putting a lot of work into the preplanning, and I’ve tried to summarize everything I know as best as possible in this article. My guide is useful for just about anyone I listed in the points above. Seoul might seem tiny on a map but when you visit the city, you will be amazed at the vast population and size of the city. In fact, with a population of over 26 million people, Seoul is the second largest metropolitan area in the world (after Tokyo, of course). 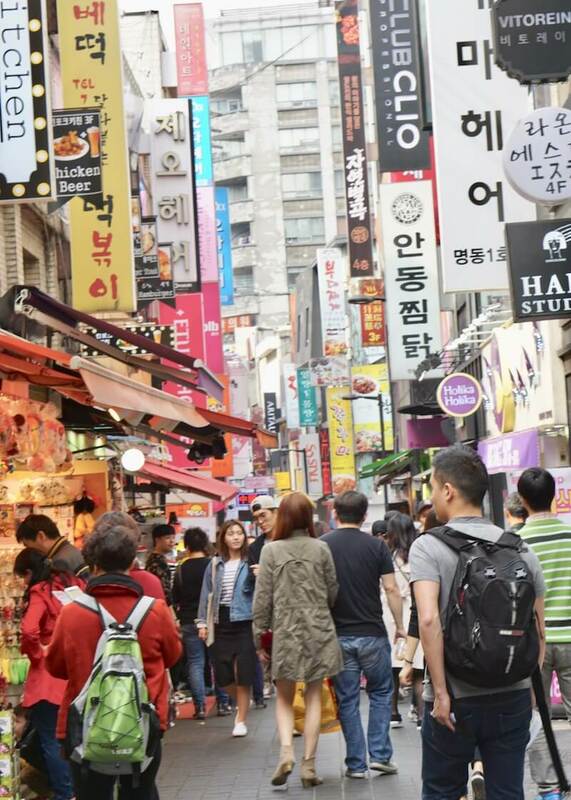 If you thought New York City was busy, you are in for a real surprise when you visit Seoul, especially in shopping districts. The capital city itself has a population of 10 million people, making it the fourth largest city in the world. Seoul has four distinct seasons, winter, fall, summer and spring. The winters in Seoul reach -4° Celsius (25° Fahrenheit) which makes their winter pretty mild compared to Canadian winters. High season is popular because the weather is not too hot or too cold. If you end up visiting during the summer, make sure to read this post on how to survive Korea’s hot and humid summers. I personally think there’s never a wrong time to visit Seoul. If you have flexibility in your schedule, consider visiting the low season because it’s a good way to save money. 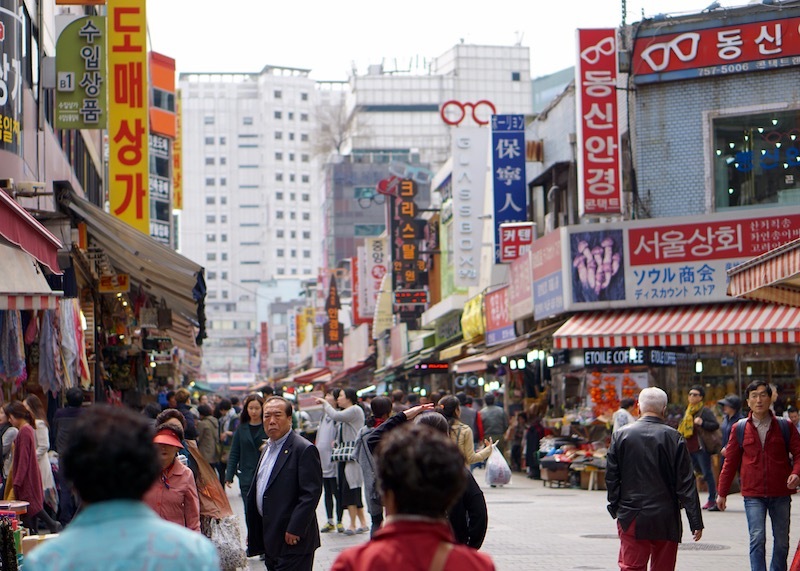 There are various ways to get into Seoul depending where you are coming from. Airplane, train, bus, car and even boat (I did not know that!) 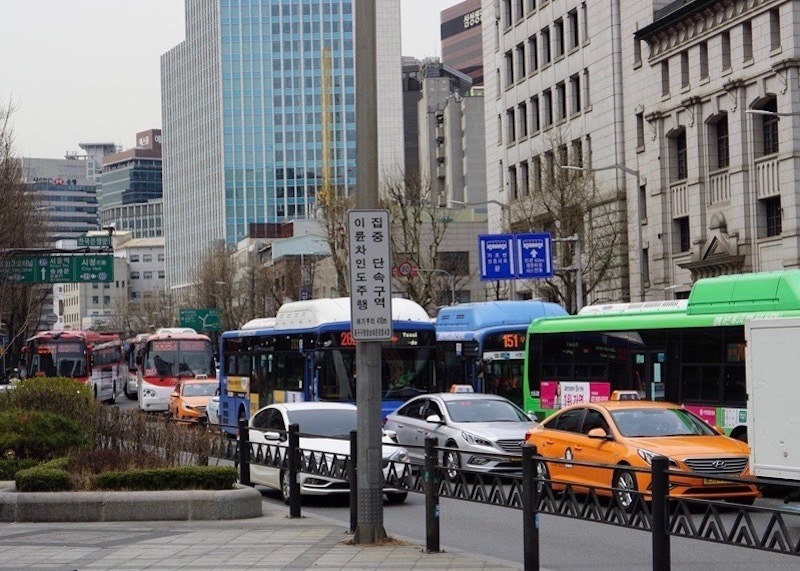 are all the different modes of transportation you can use to get to Seoul. I’m going to assume most readers are international travellers visiting Seoul and will focus on air travel. Although, apparently there is a ferry service from China and Japan. 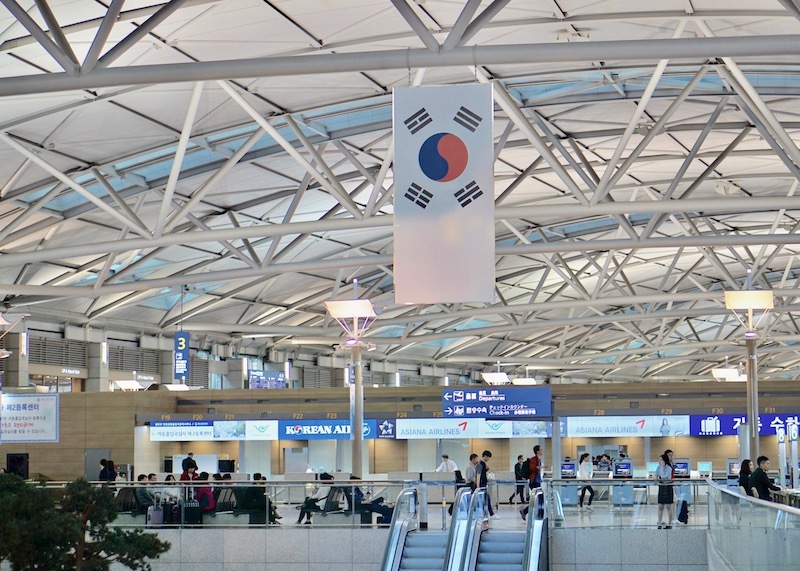 Once you are done picking up your cheap wifi pocket stick from the airport, it’s time to figure out how to get into Seoul. I highly recommend taking the metro system as the means to get into the city. Not only is their metro system efficient, but it’s convenient, and you don’t have to deal with traffic jams or taxi drivers not understanding what you are trying to say. If you have heavy luggage, try to find the elevators in the metro system because the alternative is dragging your bags up a lot of stairs (or use a luggage service if budget allows!)! There are also certain areas in the metro where you’ll have to walk ten minutes to the metro station. If that’s too much for you, then stick to a taxi or bus. There are also limousine buses that travel to major areas and hotels around the city and is another option to consider. Door to door, it took G and I about one hour from the airport to the Sheraton D-Cube City hotel, although we budgeted 1.5 hours. Time flew by so fast, and I got a nice nap on our way to our hotel from the airport. Note: I later learned a better way to get to the city from the airport…don’t be dumb like me and save time by booking the airport express train in advance! Metro station is by far the biggest and most convenient way to get around the city since the city is massive. In my experience, it was hard to get around Seoul with English, so I find that the Metro was perfect. The maps were easy to navigate, and the colour coding makes it pretty self-explanatory. 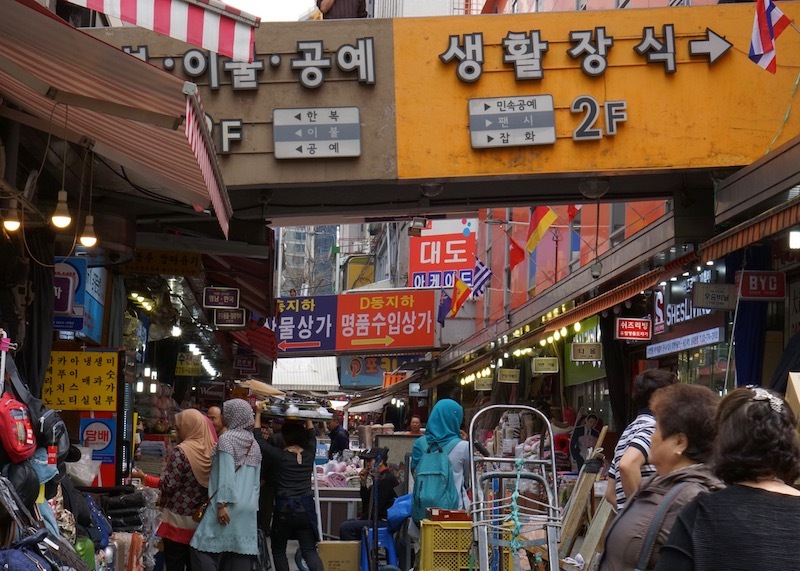 Seoul wasn’t as walkable as I had hoped as some of the areas I wanted to visit were not close in proximity. Regardless, I still ended up doing a fair amount of walking as each station had a lot of different streets and shops to explore. So many streets to walk and explore around Seoul. And EAT! I didn’t take the bus and taxi but they are another means to get around the city. Buses connect to the subway and can get you almost anywhere in the city. I didn’t want to even try taking the bus because I’d be that incompetent person getting off the wrong stop and wandering around like a lost soul. Taxis are all over the place but so are a gazillion other cars. It seemed like traffic jam was consistent throughout the day. However, if you need to take a taxi, they are ubiquitous and easy to flag down. While my articles are based on my two-day trip to Seoul, I was able to see a lot in those two days. 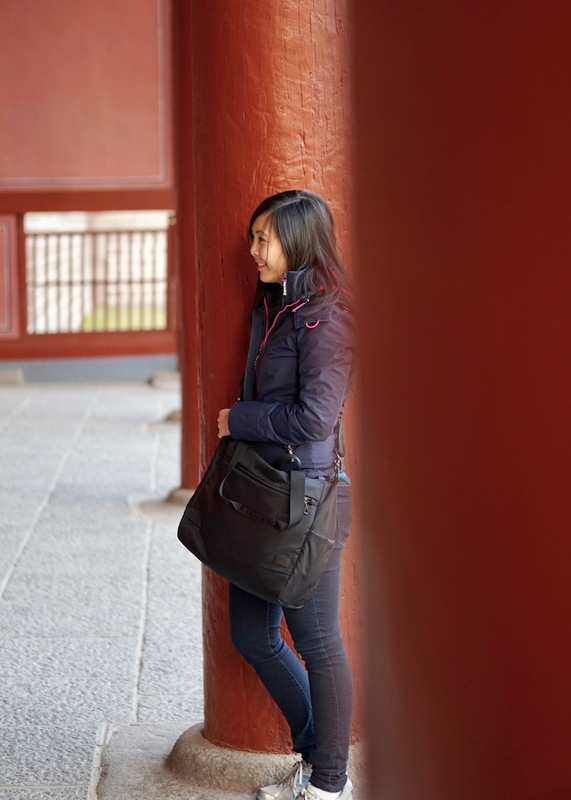 My itinerary can easily be expanded to a four (or more!) day trip. In case you were wondering, I spent 12+ hours of my time outside of my hotel to see as much of the city as possible. My Korean friends were very impressed with all the places I managed to visit in such a short amount of time. Everywhere you go, every street you turn into has an unusual sight that is uncommon in North America. But again, explore the mountains, the parks, the temples, and shrines! 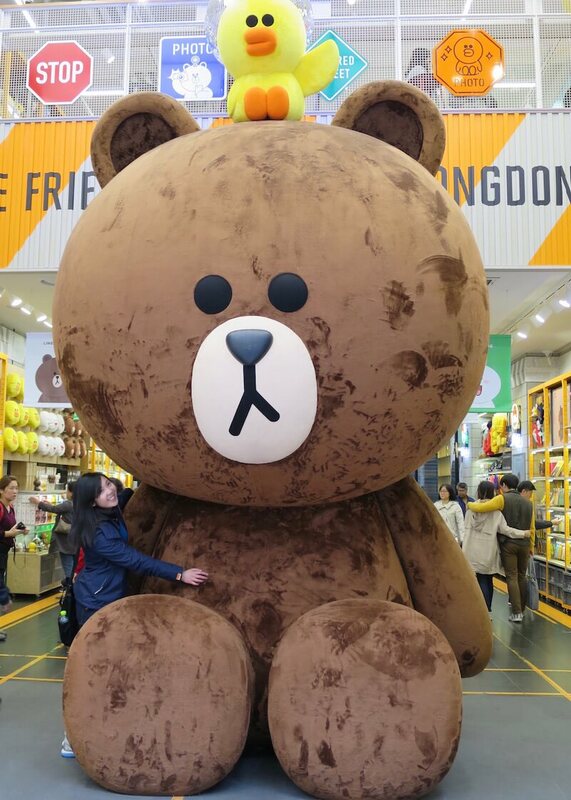 Oh, and did I mention there’s so many cute characters and displays in Seoul? 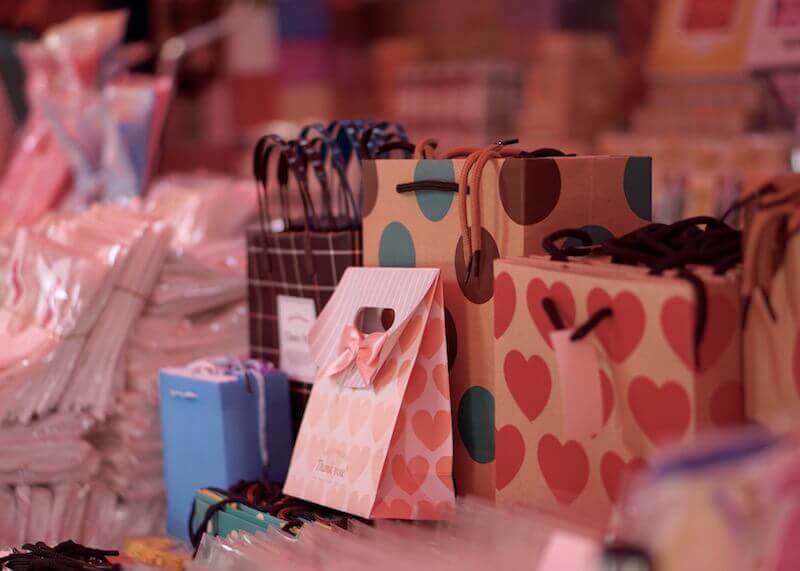 While I don’t shop a lot while travelling (or in general), Seoul is heaven for those who love shopping. There are so many international brands as well as unique Korean fashion, and if you love skincare, you’ll be in heaven. 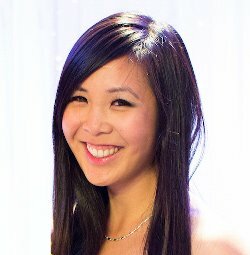 My Asian friends love Korean makeup and skincare and regard them as one of the best products to use. 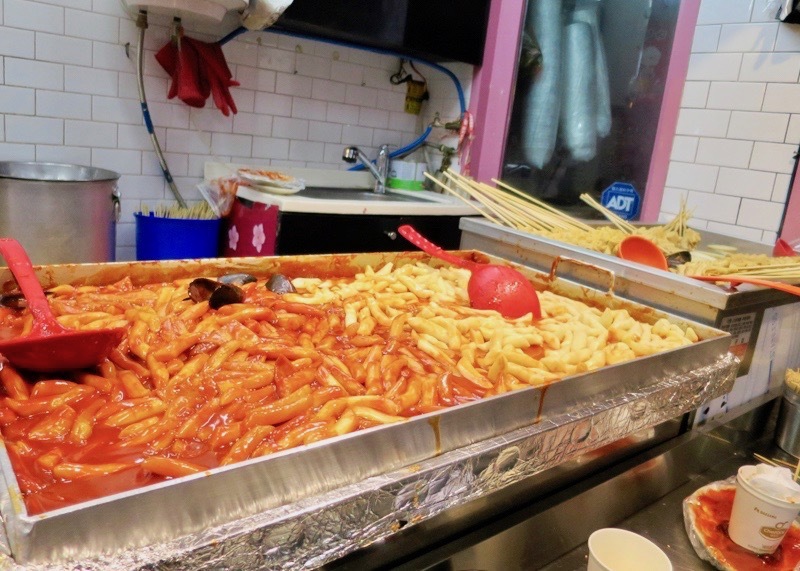 Seoul has a million things you can eat (ok, maybe not a million but it felt like a million!) 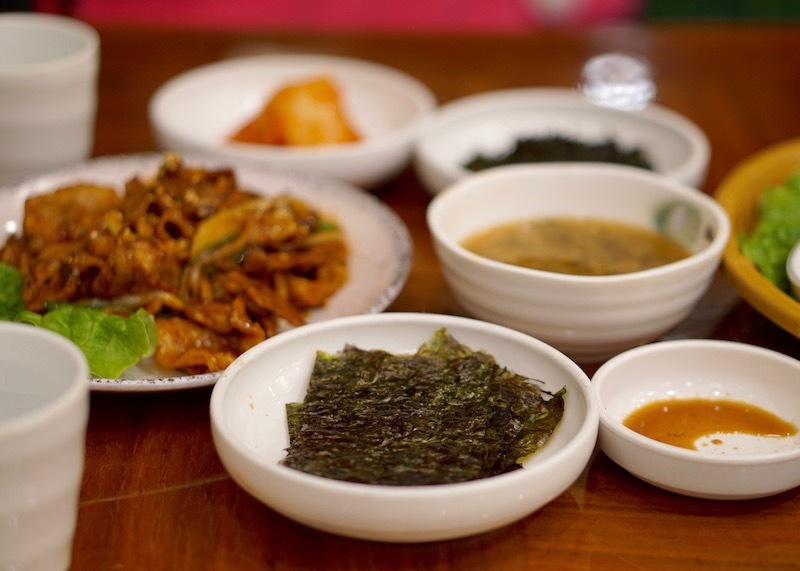 and if you love Korean food, you’ll be in foodie heaven for sure. If you’re worried about not getting enough variety, have no fear! I saw many Japanese and Chinese restaurants, as well as international cuisine. Like any other place in the world, you can spend as much as or little money as you want on food. I tend to go for value – spend as little money on food as possible while not sacrificing on taste and I found food to be relatively inexpensive. Compared to Southeast Asia, food is pricier, but there are so many options for everyone. We spent around ₩10,000 (around $12 CAD or $8 USD) per meal, per person on our trip and I’m pretty sure we both left Seoul a pound or two heavier. Mind you, we barely ate in restaurants and stuck to street food most of the time. If you’re staying on a super duper low budget, don’t forget to visit convenience stores and bakery stores! 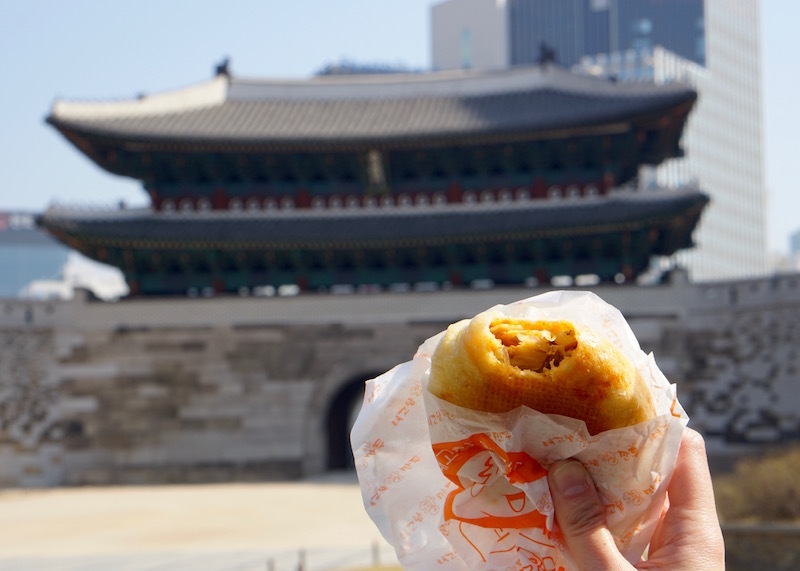 You can find a delicious bakery for as low as ₩1,500 ($2 CAD or $1.50 USD), as well as snacks and yummy drinks. As for drinks and coffee, I don’t drink either (I know, what planet am I from) so you’ll have to check out another guide for tips. 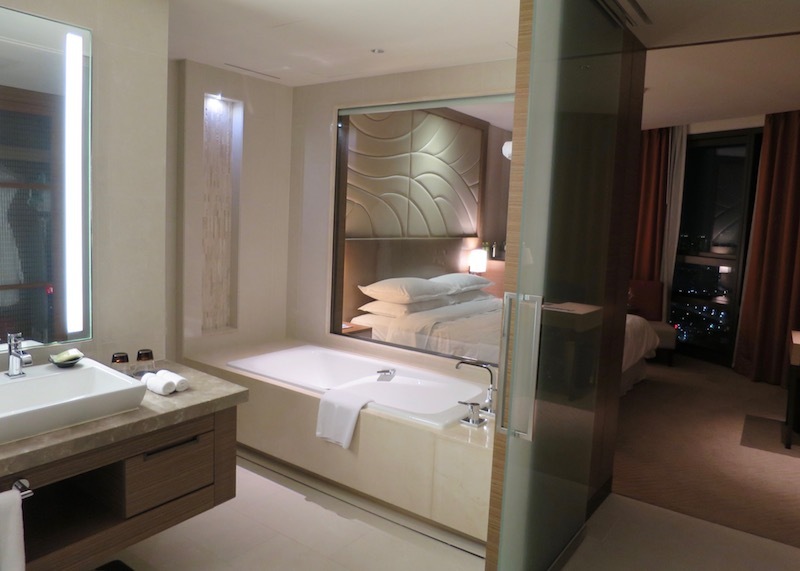 Seoul is a place where accommodations are a bit more expensive compared to Asian cities. Again, like food, you’ll find accommodation that fits your budget. Look out for deals on Booking.com or Agoda, which is the best place to start. As for location, if you’re not too sure where the ideal place to stay is, anywhere along the Metro is your best bet. 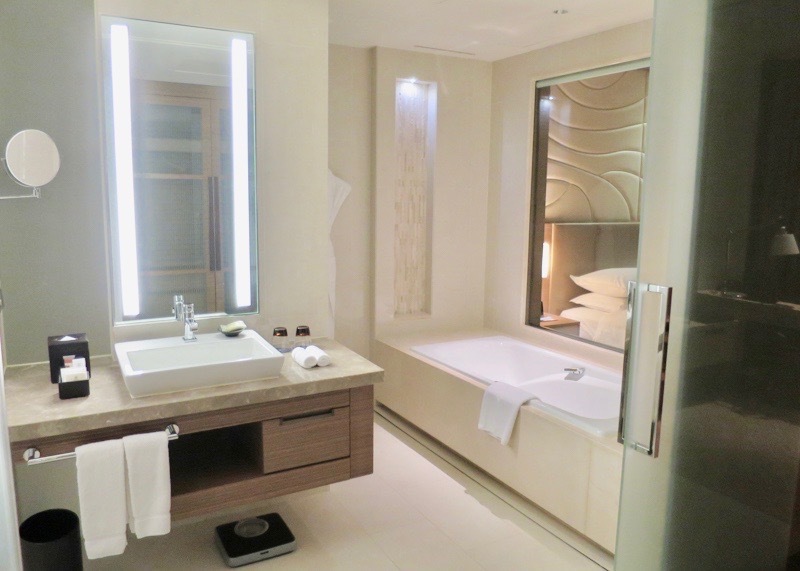 After doing tons of research and trying to figure out the best combination of price and points, we stayed at the Sheraton D-Cube hotel. I wrote about safety in my previous article, so I won’t rehash it here. To quickly summarize though, Seoul is a very safe city, comparable to Hong Kong (and maybe Japan? ), and Seoul is fine to travel alone. I didn’t feel the need to worry about petty crime or people stealing from me because honestly, I’m sure most of them were wealthier than me. My level of awareness didn’t need to be in overdrive like it normally is when travelling outside of North America and I never felt like I was being scammed. Of course, even though this was my personal experience, you should always be careful and be aware of your surroundings. 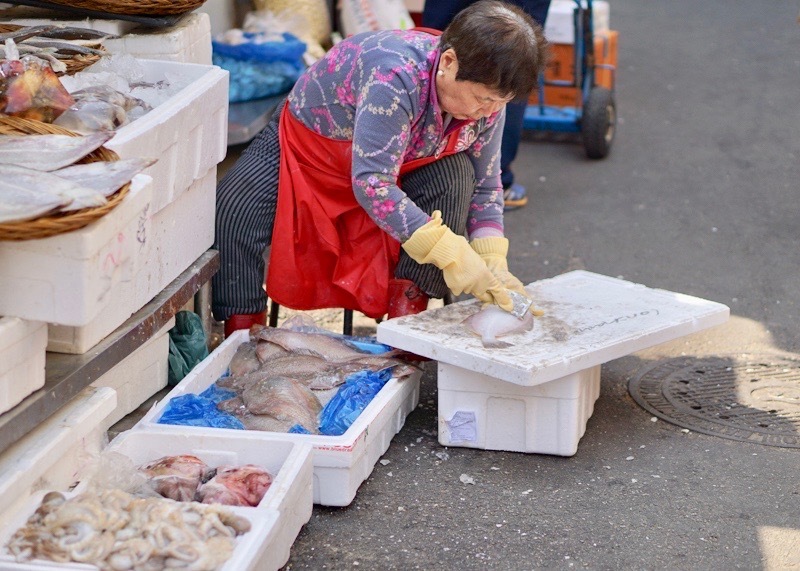 No need to worry about dirty water or contaminated food, Seoul is relatively clean. I don’t think Seoul belly exists (except for a BIG Seoul belly from all the good food you’ll eat by the time you leave Seoul!). Hurray for being able to eat street food on your first day and not get sick! However, you need to get travel insurance! Check your work’s coverage or your credit card! If you don’t have any coverage, consider World Nomads. There you have it, my practical guide for your trip to Seoul. If you have any questions, please leave a message at the bottom of this post. I always find it funny to see how fascinated the Koreans are with those comic like figures, you see them everywhere, right? Did you travel further around in Korea? Or did you only visit Seoul? When I first saw the title of your post I knew I was going to have a question about the language – and you answered it! English is the only language I speak, so I’m always concerned about how easy it is getting around in a city where you don’t speak the native language. The color-coding for the metro really helps. what a complete and extensive travel guide! I love that you have not only included methods of transportation to get to the city but also within the city! Yep, you are so right! There are also lots of smells (food) as well :). The amazing hard work you’ve put shows on your blog! And I’m super happy with my choice!! You’ve been nominated to ‘THE BLUE SKY TAG BLOGGERS CHALLENGE, to know more visit this site and complete the challenge!! 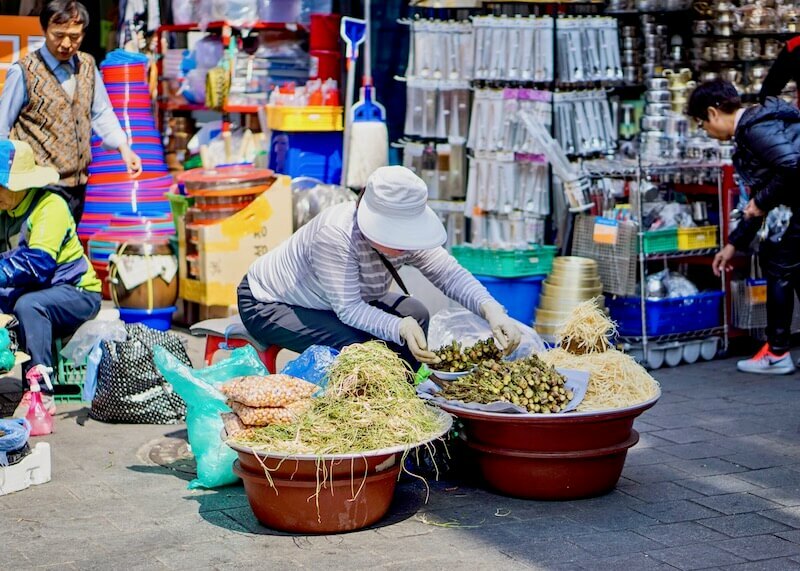 Your photos seem to really capture what Seoul is all about! Would love to visit it sometime soon! Thank you for sharing this guide with us! Aww thank you! I felt like Seoul were my worst photos because I bought new lens a few days before this trip and was still learning the settings while in Seoul. Glad to hear you thought they were good. Useful tips. 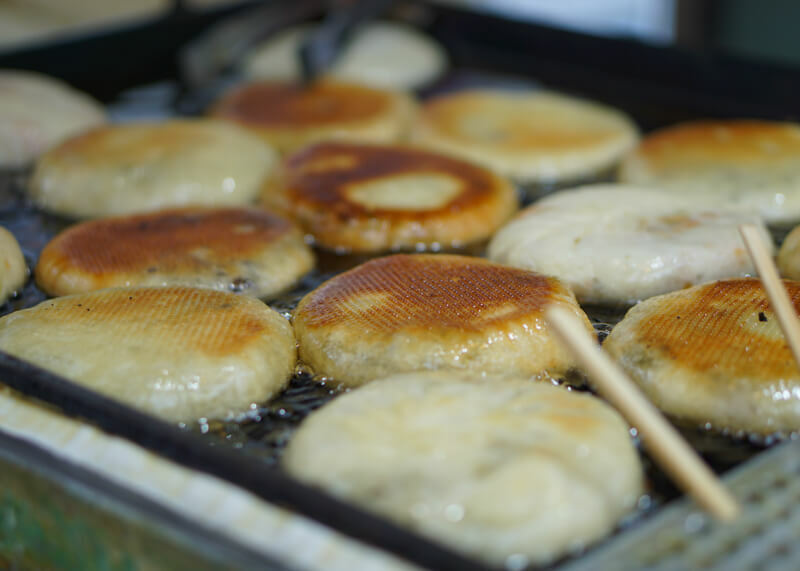 I think I’ll love the street food when I go. I’m sure you will 🙂 The street food was so good and so filling! Looks like a busy city. Almost similar to Bangkok. How are the traffic jams there. I so want to go to Seoul just to check out their crazy cartoon characters. 😀 Its been high on my list for a while and you want me to get out there even quicker now. 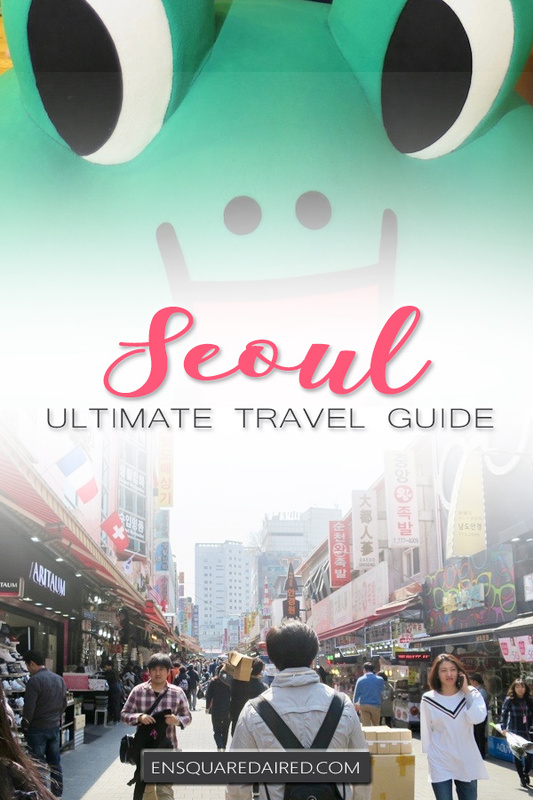 A really useful guide to Seoul with lots of great practical tips. The food looks amazing! Pinned for future reference! Thanks Jo 🙂 Happy future travels! I really want to visit Seoul, I have heard so many good things about it! 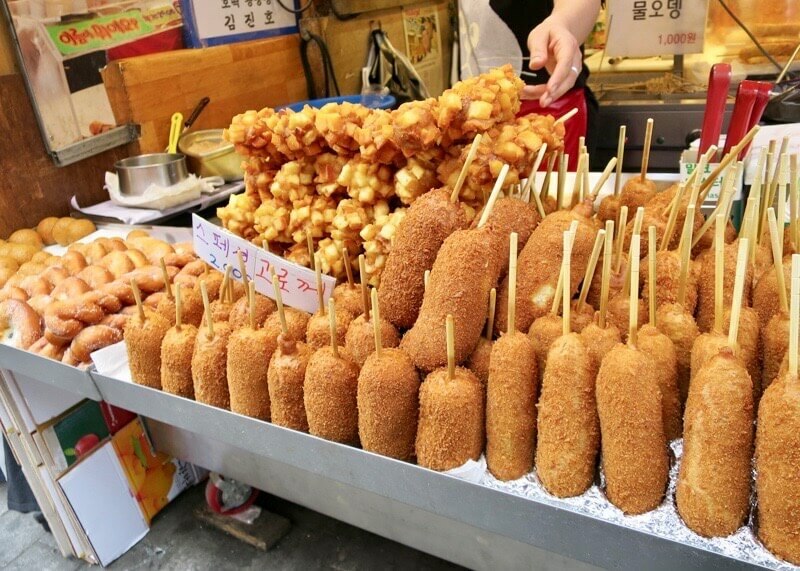 The street food looks delicious – you can’t beat fried stuff on sticks! And I love those cute characters ! haha yea, the street food there was so good! My husband currently lives in Seoul – for one more week – and also lived there for another year 15 years ago. I had really wanted to visit this time in the year that he was there, but he just really didn’t enjoy it much. It’s a mega city and he didn’t find there was much to do besides shop and walk around, so we ended up meeting up in other places instead. I doubt I’ll ever visit now that he’s moving and won’t be back there for work ever again. This is a good perspective, thanks for sharing. I definitely wouldn’t mind revisiting Seoul because I didn’t experience enough of Seoul. I also felt that it is mainly a big city with a lot of shopping, eating and exploring the different neighbourhoods. I love Korean food though and I’m pretty happy with just eating all day haha. What bear doesn’t look too happy…lol But this post makes me happy. Seoul looks so busy and hectic! And colourful. I’m glad you suggested some things to eat cause I think I would get sensory overload with all the signs and smells…Its definately on my to go to list!!! Haha yeah, that bear doesn’t look too impressed. Yep, the struggle is real in deciding what to eat. 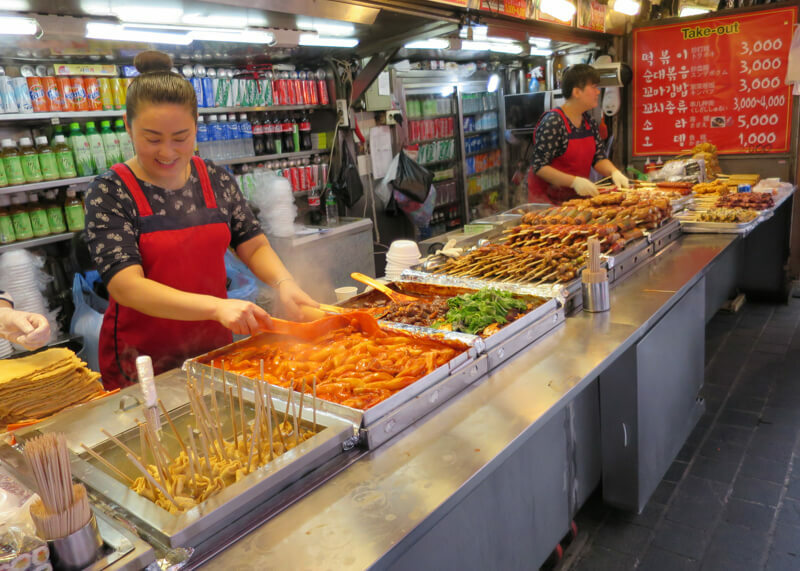 Good food is everywhere in Seoul! Good to know that it’s safe, and the characters are so cute! Yes, feeling safe is pretty high on my list when it comes to travelling! wow, the food there looks amazing! South Korea would be such a cool experience, coming from the U.S.! I’m glad it helped! I hope your plans work out and you’ll get to visit South Korea soon! Great guide, we only had an 8-hour layover in Seoul, but fortunately we arrived in time to do a transit city tour for 5 hours. So we got to leave the airport and head into the city, walk down the little streets and have authentic Korean food for lunch (bibimbap), and visit one of the palaces which was beautiful! And Incheon Airport is fantastic too. Definitely would go back to explore more.